A great Christmas present is an early one. 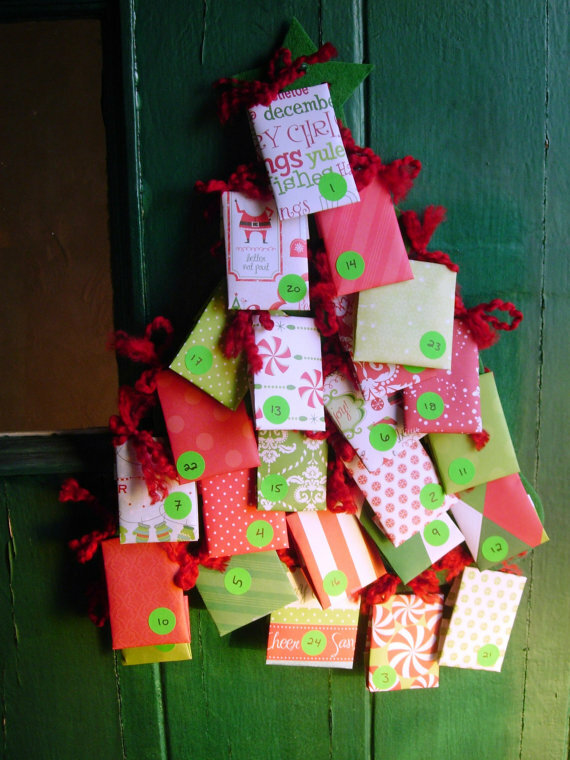 Why not give someone an advent calendar so they get a treat each day leading up to Christmas instead of another present to open on Christmas day. Because not everyone likes or can have chocolate, I've made a little list of the alternative ones out there. 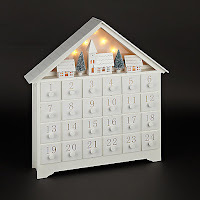 You can get advent calendars that you can fill yourself such as the beautiful wood one to the left from John Lewis £30. 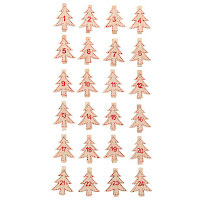 If you're on more of a budget you can get advent pegs. 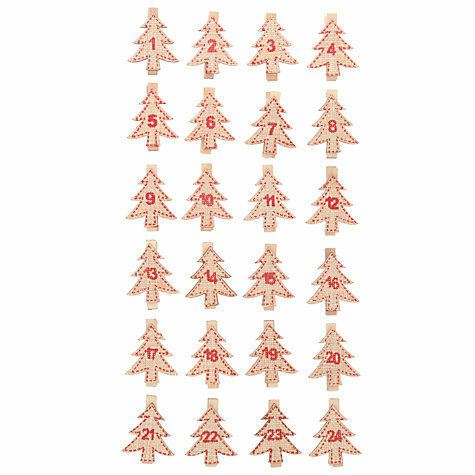 The ones to the right are from John Lewis £6.95, the Poundshop do Christmas pegs too (£1 of course!) but they aren't numbered. 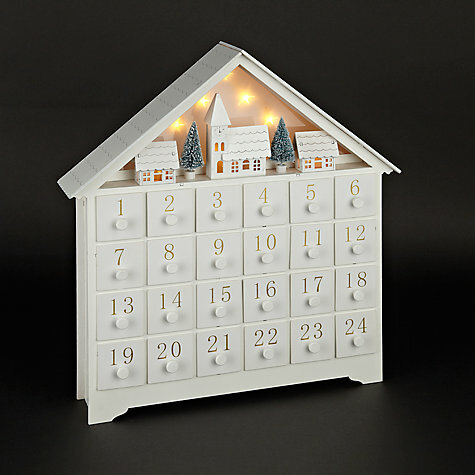 Once you have the advent calendar it's time to fill it! Liquorice - Good if you have boxes to fill, not so good with pegs! 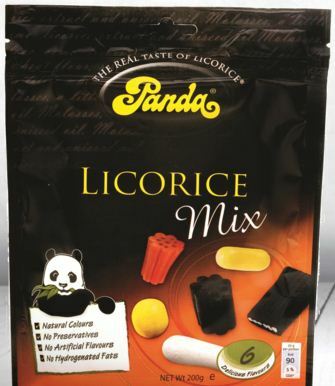 Holland and Barrett, Sainsburys and Ocado sell Panda liquorice, it's a natural and sweet, great for any health freaks out there (my partner!) I've bought a mixed bag so each day he gets a different flavour or shape. Minitures - If you can't afford the pre-made why not make you're own? 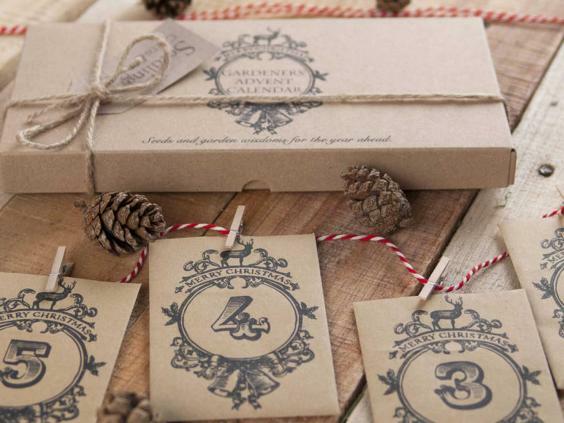 Fill a calendar with these little miniatures, you can tie them into string and add your own labels if you haven't got a calendar with big enough cupboards or pockets. You could even do the 12 days of Christmas instead of 24 making it much more affordable. 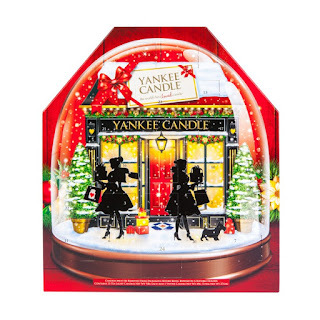 Candle calendar - Yankee do a great candle advent calendar. 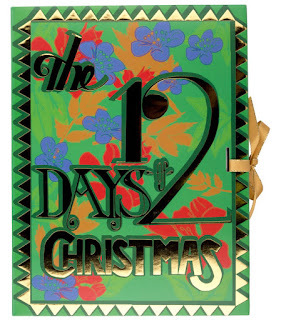 Debenhams have 30% off it at the moment making it £17.49, at Clintons it's £18.74 but if you sign up to their news letter you get an additional 20% off. There are 3 different styles and all went to half price on the Yankee site but have sold out already. Bath products - again you could make your own and pick n mix with holiday mixtures (3 for 2 in Boots) or you could indulge in the Lush calendar £49.95 but the products are amazing. Beauty calendars are always a winner and this Boots No7 (25 days at £38) and Benefit (12 days at £39.99) ones aren't filled with hair bands and yellow nail polish (I used to find these sort of boxes were filled with things they couldn't sell). They seem to be packed with some real treats. Remember you can make an advent with whatever you like and if you want it just to treat yourself then wait till 2nd December ish, if there's any left they are going to be at least 25% off, most likely 50%.